Motorists can cut their fuel bills by almost ten pence in the pound this weekend if they adopt smarter driving habits, according to the Royal Automobile Club Foundation,* launching its tips for weekend money-saving driving today (6). Eighty-five per cent** of weekend trips are made for social reasons, including visiting friends and family, shopping, and holiday-making. Far from being optional, these journeys boost the economy, particularly in rural areas reliant on tourist spending, and contribute to the quality of life in the UK by reinforcing social networks. But any motorist taking to the road this weekend will be paying between seven and eight per cent more for fuel than they did over the Easter weekend. The RAC Foundation’s analysis of the cost of weekend motoring finds that a typical 18-mile weekend trip now costs 15p more for unleaded cars and 20p more for diesel vehicles***. Adopting ‘eco-driving’ is a smart and easy way for motorists to fight back against recent fuel price increases. Smarter driving can reduce the cost of a 18-mile weekend journey by 18-20p*, an effective cut in the cost per litre of 9.5p,**** leaving more money in the motorists’ pocket to spend at their destination. 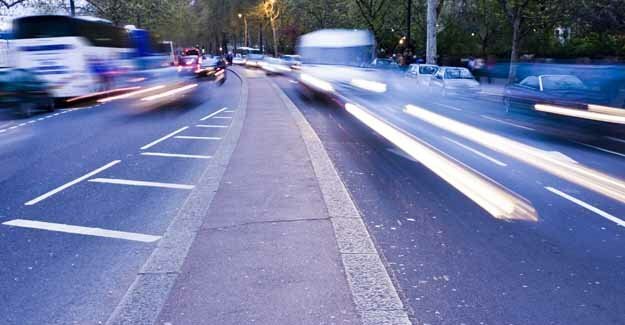 Stick to the speed limit – travelling at 20mph over a posted 50mph limit increases fuel consumption by 30 per cent. Plan your journey – driving in circles looking for the right road wastes fuel as well as time. Check your tyre pressures regularly – underinflated tyres make the engine work harder to move the car. Drive smoothly – racing away from the lights and jamming on the brakes is bad for safety as well as fuel economy. Take the roof rack off – empty bars increase fuel use by as much as 10 per cent. Avoid travelling during peak hours – but if you do get caught in a jam, switch off and reduce fuel consumption to zero. Use air conditioning appropriately, and switch off other electrical items when not needed. * Weekend fuel bill calculated using the average return leisure journey distance – 18 miles (DfT Transport Trends, 2007), average fuel costs on 25th March versus 29th May, and fuel consumption of 40mpg.